Meet past and present MBA students and hear a first-hand account of why the Copenhagen MBA programme may well work for you too. 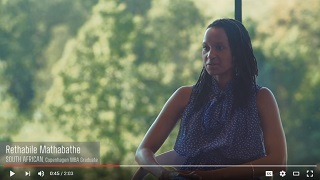 Click on the images below to play the videos and hear Copenhagen MBA alumni share their stories. Khanya from South Africa traded consulting post-MBA for an in-house position with Chr. Hansen in commercial excellence. She very much enjoys the collaborative atmosphere, the famous Danish work/life balance and living in the magnificent city of Copenhagen. Watch her video here. Fernando swapped his native Brazil for Denmark. Since graduating from the Copenhagen MBA in 2014, he has built an exciting career in renewable energy and is now working in innovation for Ørsted in Copenhagen. "I decided to do my MBA at CBS because it offers a unique opportunity to get to know the Scandinavian culture," said Nick, from the US, when MBA Tube came to visit. 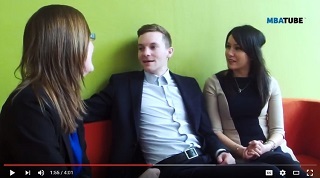 Meet Nick, Saskia and Georgianna in this video and find out more about their exciting MBA journey so far! 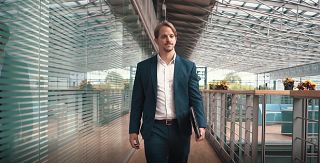 Find out how an MBA in Copenhagen, the world's most livable city and green capital of the future, transformed these two graduates and prepared them for responsible management challenges ahead in this video. After completing the Copenhagen MBA in 2012, Richard went back to Vancouver to launch a startup in the technology space. He grew it from a team of two to twelve in 18 months and in that time period his company was acquired by Hootsuite. Hear Richard's story and find out more about his success as en entrepreneur in this video. Vancouver-based Matt is an author, a performance coach and part of the product team at Lululemon Athletica. Hear why he choose the Copenhagen MBA, why he loved living in Copenhagen and what kind of skills he took away from the experience in this video. "I wanted a small programme which was very international", says Michael. 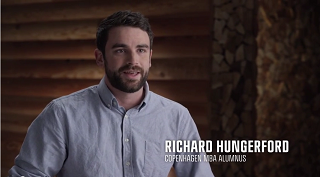 View the video to find out more about what set the Copenhagen MBA apart for this American alumnus. Prior to doing her MBA at Copenhagen Business School, Joy from Norway worked as a banker and in HR. Through her MBA she has added hard tools to her skillset and gained a different perspective on business. Learn more in this video. How has the CBS MBA benefited Hrafn, an entrepreneur from Iceland with a background in advertising? Hrafn thinks his newfound skillset and network has opened up an international dimension to business - press play to learn more. Social responsibility and Scandinavian management were two factors which made Luke from the UK choose Copenhagen Business School for his MBA year. Find out more about why this Londoner loved living and studying in Copenhagen in this video. Greg is one of many Copenhagen MBA alumni who decided to stay on in Denmark. Today, he is European Business Development manager for ZyXel. 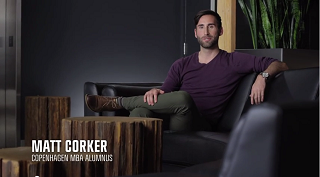 Hear how Greg makes use of the skillset he gained as an MBA student in this video. Maryam graduated from the Copenhagen MBA in 2011 and makes daily use of her MBA skillset. 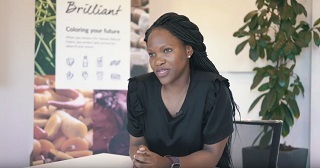 Find out more about Maryam's MBA experience, why she found the international class composition particularly valuable and how she finds living and working in Denmark in this video. Having decided to complement his scientist background with an MBA skillset, Davide graduated from the Copenhagen MBA in 2009. 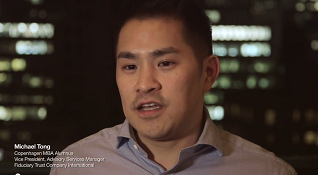 Hear more about how Davide implements his MBA skillset in his daily work in this video.